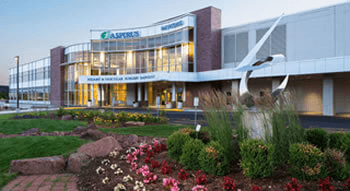 The Aspirus Reference Laboratory (ARL) serves numerous hospitals, clinics, residential nursing facilities, and assisted living facilities in North Central Wisconsin and the UP of Michigan and provides services for Aspirus Wausau Hospital. The ARL operates 24/7 and performs more than one million billable tests annually including comprehensive services in chemistry, coagulation, flow cytometry, hematology, immunology, microbiology, pathology, transfusion services and urinalysis. The ARL is accredited by the College of American Pathologists (CAP) and the Joint Commission (JC) and is CLIA certified to perform highly complex testing. ARL places strong emphasis on quality control, proficiency testing and other quality assurance initiatives. ARL participates in a number of external quality control programs. This, combined with an emphasis on employee competency testing assures that ARL results are accurate and reliable. Information on current test methods, including performance specification, is available upon request. Technical Director – Edgar Betancourt, M.D. Technical Director – Tracy L. Cousins, M.D. Technical Director – Fushen Xu, M.D. Technical Director – Sarah Sewall, M.D. The CPT codes published in this Reference Manual are provided for informational purposes only. The codes reflect our interpretation of CPT coding requirements, based upon AMA guidelines published annually. CPT codes are provided only as guidance to assist you in billing. ARL strongly recommends that clients confirm CPT codes with their local carrier or intermediary. CPT coding is the sole responsibility of the billing party. ARL assumes no responsibility for billing errors due to reliance on the CPT codes listed in this Reference Manual. ARL offers groups of tests based on accepted clinical practice, as well as those that are defined by the American Medical Association Current Procedural Terminology (CPT). All individual components of these “panels” may also be ordered individually, unless otherwise indicated. ARL offers two types of reflex panels: standard reflex test panels and compulsory reflex test panels. A standard reflex test panel allows the physician the option of ordering either the reflex group or a detail test. A compulsory reflex panel automatically generates a request for additional testing if the result(s) of the initial test(s) meets or falls outside certain ranges. In many cases and especially in microbiology and blood bank procedures, the compulsory reflex test panels have been predetermined based on specific medical criteria, are accepted as standard-of-care by the medical community, and may not be available for ordering at the detail level. ARL notifies the client whenever additional charges result from reflex testing. Only tests that are medically necessary for the diagnosis or treatment of the patient should be ordered. Medicare does not pay for screening tests, except for certain specifically approved procedures, and may not pay for tests considered experimental or not approved by FDA. The Office of the Inspector General takes the position that a physician who orders medically unnecessary testing may be subject to civil penalties. If there is reason to believe that Medicare will not pay for a test, the patient must be informed and asked to sign an Advance Beneficiary Notice (ABN) to indicate that he/she is responsible for the cost of the test if Medicare denies payment. The ordering physician is required to provide ICD-10 diagnosis codes to laboratories to ensure that laboratory claims will be accurate. Please provide an ICD-10 code that most accurately describes the patient’s condition. Do not choose a code merely to claim payment. ICD-10 codes must be provided in a valid format, including the fourth and fifth digit specificity when required and available. Local Coverage Determinations (LCD) and National Coverage Determinations (NCD) exist for many laboratory tests. The NCDs are found on the CMS website at https://www.cms.gov/. LCDs are listed on the websites of the carrier or fiscal intermediary.It is the responsibility of the client to verify CPT codes and ICD-10 codes with Medicare carriers and third party payers. Whenever possible, tests that are subject to LCDs or NCDs as established by Aspirus Reference Laboratory’s fiscal intermediary are printed in red on ARL test requisition forms. Organ and disease related panels should be ordered only when all components of the panel are medically necessary. Medicare National Limitation Amounts for CPT codes are available from the Centers for Medicare and Medical Assistance web site (www.cms.hhs.gov/coverage) or its intermediaries. Medicaid reimbursement will be equal to or less than the amount of Medicare reimbursement. Aspirus Reference Laboratory files claims with the Medicare and Medical Assistance programs for referred tests for patients insured by these programs. If Medicare or Medical Assistance is secondary to other insurance, ARL will file claims with the primary insurer. To insure accurate and timely filing of Medicare and Medical Assistance claims, the following information is required. We recognize the extra time and effort it takes to provide this additional information to us and we are grateful for your continued cooperation in helping us obtain the information we need to bill for our services. In the event that a test is determined by ARL’s Medicare fiscal intermediary to be medically unnecessary, the laboratory may only bill the patient if an Advance Beneficiary Notice (ABN) has been completed and signed by the patient prior to the time that the specimen is collected. The ABN is a three-part form available from ARL. Please see page 13 for information on completion of a valid ABN. Clients who have access to the Aspirus information system network are encouraged to use the ABN Compliance Checker to determine medical necessity and generate ABNs. The original ABN is submitted to ARL with the specimen for testing. Medicare’s medical necessity requirements may not always be consistent with the reasons you believe a test is appropriate for a patient. Nevertheless, when you have reason to believe that Medicare may consider a test medically unnecessary, the patient should be asked to sign a completed ABN after receiving a clear explanation of the reason(s) the ABN is necessary. A new original ABN must be signed each time such conditions exist. An ABN signature may not be requested solely on the basis that a test being ordered is subject to coverage limitations under an LCD or NCD. The test is subject to coverage limitations and the diagnosis for which the test is ordered is not considered to be indicative of medical necessity by Medicare. The test is ordered more frequently than Medicare considers medically necessary. The test is for research or investigational use only and is not approved by the Food and Drug Administration. An Advance Beneficiary Notice may only be obtained when the laboratory or physician believes a test may not be covered. ABNs must not be obtained from every Medicare beneficiary (blanket ABN). An ABN is not required for screening services or services that Medicare does not cover. However, the ABN is highly recommended because the patient must be informed that Medicare does not provide coverage for screening diagnoses or for a particular service. If Medicare denies reimbursement for a test and a valid ABN has not been obtained, the client will be billed for the test at the client’s fee schedule rate. All of the information on the Advance Beneficiary Notice form must be completed. The test(s) that you believe will be considered by Medicare to be medically unnecessary must be clearly marked. The reason for possible denial of payment must also be indicated. Please write the test name and CPT code as they appear in ARL’s test request form, reference manual or Misys function MIQ. Do not use synonyms or abbreviations. Please be sure that the patient reads, understands and signs the ABN prior to the specimen being collected. If the patient is unable to sign, the form should be marked with an “X” and the patient’s guardian, guarantor or other responsible party should sign the form. Aspirus Wausau Hospital offers a nine-month clinical practicum through an affiliated university baccalaureate degree program in Medical Technology or Clinical Laboratory Science.